We are continuously striving to innovate new functions and enhance the quality of our products. Our products are built with fine craftsmanship, integrating over 100 precisely cut parts with highly specialized and accurate sewing that allows less than a 1mm tolerance for error – which results in nothing less than perfection! Our quality control is second to none, and all our employees are striving for one united goal: the perfect glove. For many years we have used only superb materials and the most advanced technology to earn the respect of our industry peers and to produce the finest gloves available. Shanghai Factory: Nan Hui Ward, Shanghai, P.R.O.C. Associate in U.S.A.: Primary Inc., Santa Clara, Utah, U.S.A. 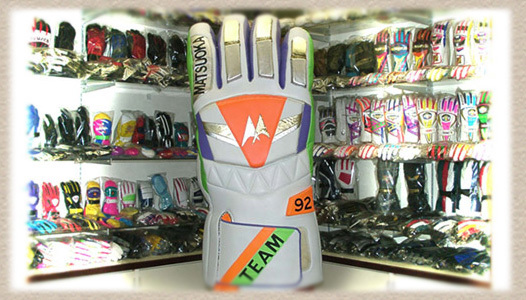 Reorganized as MATSUOKA GLOVE CO., LTD.